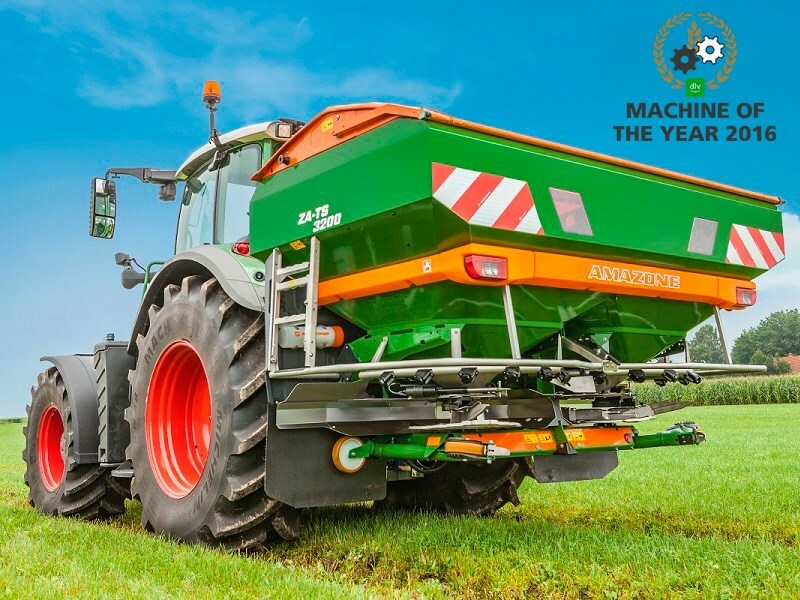 Amazone's new ZA-TS spreader has been named Machine of the Year 2016 in the crop management category. The innovative Argus Twin technology on the ZA-TS range optimises the lateral distribution of fertiliser at both spreading discs with the aid of radar sensors. Amazone’s new ZA-TS fertiliser spreader featuring an innovative lateral distribution optimisation technology has picked up the Machine of the Year 2016 award in the crop care category. The award was presented at the recent Agritechnica trade fair, where a total of 16 products received Machine of the Year awards for their respective categories. The winners were decided by an independent team of agricultural journalists from across Europe. 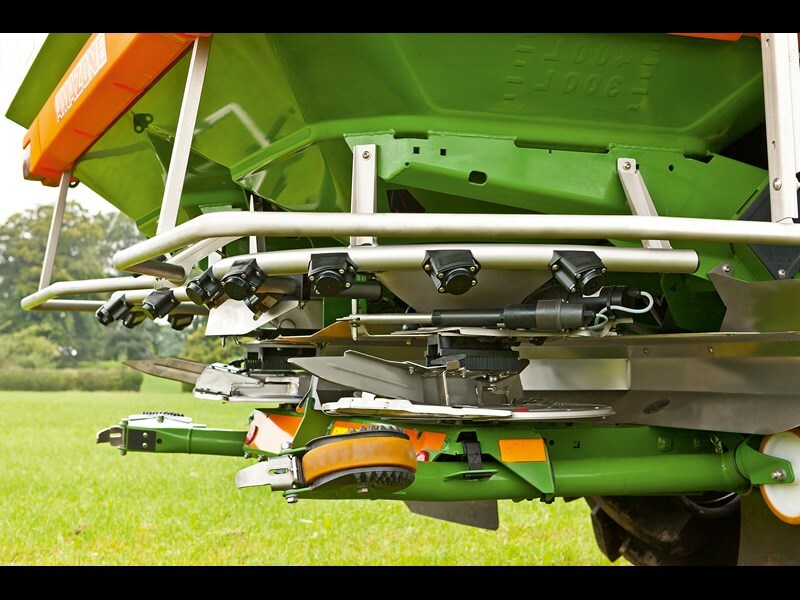 A key feature of the award-winning ZA-TS spreader range is Amazone’s Argus Twin technology which optimises the lateral distribution of fertiliser at both spreading discs with the aid of radar sensors. Eight sensors mounted above both the left and right hand discs monitor the spread pattern and then automatically adjusts the electric delivery system of each disc if any deviation from the settings is detected. According to Amazone, the machine’s rigid attachment without moving components means it is extremely robust and is completely maintenance free. According to Amazone product manager Craig Hopkins, the technology readjusts the delivery systems on its own when it encounters a deviation from the desired spreading pattern due to various factors including machine start-and-stop, braking, travelling on slopes, inconsistencies in fertiliser quality or if the spreading vanes are worn. "It also operates during border spreading or section control, ensuring the most effective use of fertiliser and ease of operation," he says. The Argus Twin technology can be utilised across the entire ZA-TS line-up including mechanically-driven Tronic or hydraulically-driven Hydro configurations. In addition to Argus Twin, the ZA-TS range also features a number of other automated technologies including automatic calibration and tilt sensors. "The operator simply enters the desired spreading rate and drives off," Hopkins says. "The two weighing cells detect any deviation between the desired application rate and the amount being discharged." On-board tilt sensors serve to measure any deviation in the centre of gravity both front to back and left to right. "The processor then automatically adjusts the electric metering shutter slides to ensure an even, three-dimensional spreading pattern regardless of the terrain." Amazone’s ZA-TS spreader range can be operated using any ISOBUS-compatible terminal including the Amazone Amatron 3, CCI 100 or Amapad. The brand is distributed in Australia by Claas Harvest Centre. Other Machine of the Year 2016 winners include Claas’ Lexion 700 combine harvester, John Deere’s 8R series tractor, Valtra’s N series tractor and Fendt's 1000 Vario tractor which not only won in its Tractor XXL category but also took home the most prestigious People's Choice award.